Yesterday, Sideshow Collectibles revealed a new look at their upcoming Jason Voorhees figure! It's been almost five years since their last statue was released, coincidentally also from Friday the 13th Part 3. 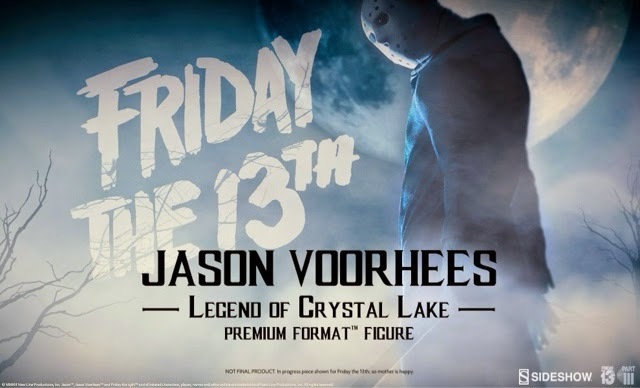 Now the company has teased their latest endeavor, the Jason Voorhees “Legend of Crystal Lake” Premium Format Figure from Part 3. The 1/4 scale statue will sure to be the apple of many fan's eye and will a have a price tag to accompany the excitement. Below is an in-progress image for the figure, but there has been no other details revealed at this time outside of the fact it will be ready for Summer camp season. We'll make sure to keep everyone updated when more information is revealed about this awesome looking figure!